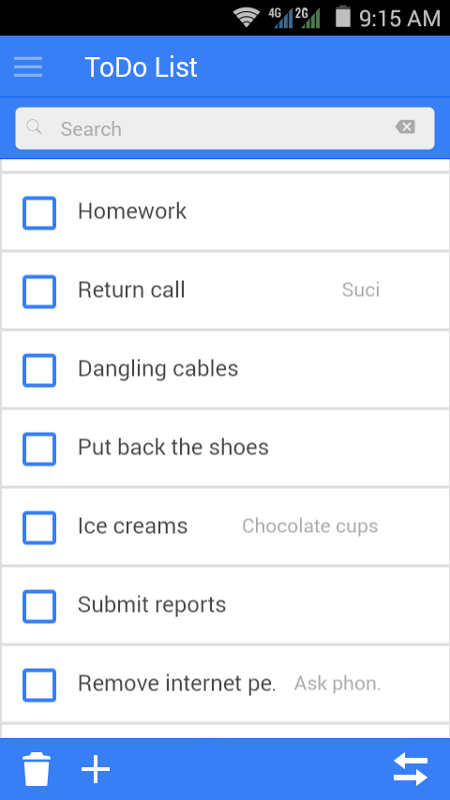 Keep note of your tasks. Mark them done or remark them undone. 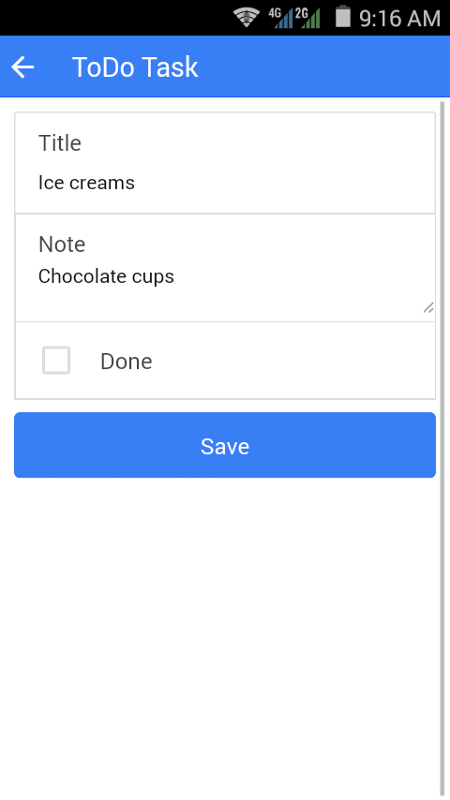 Search specific task quickly by filtering them. 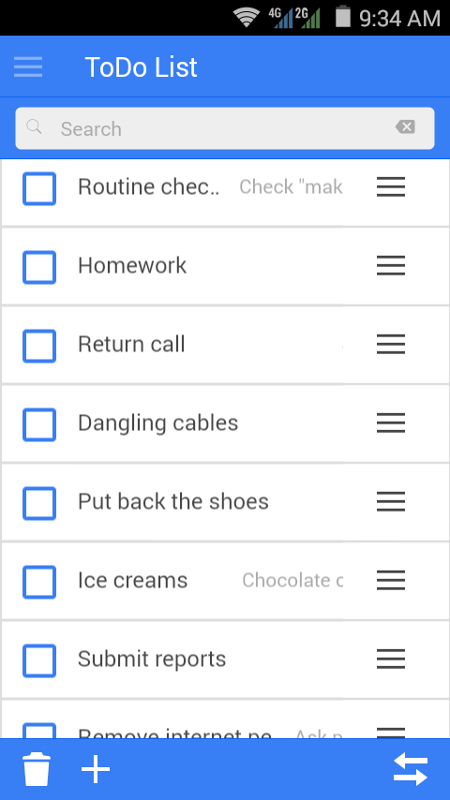 Reorder the task manually and keep the sort order.